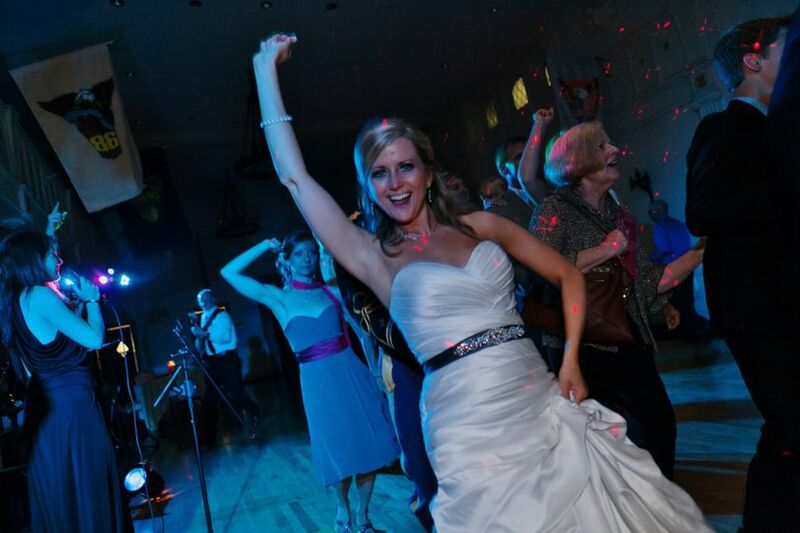 Delivering the music you & your guests enjoy, with a personal touch & professional experience from start to finish! Scott Arcangel Music has 20 years of experience, and dozens of GREAT reviews from happy clients who frequently return to book other events! 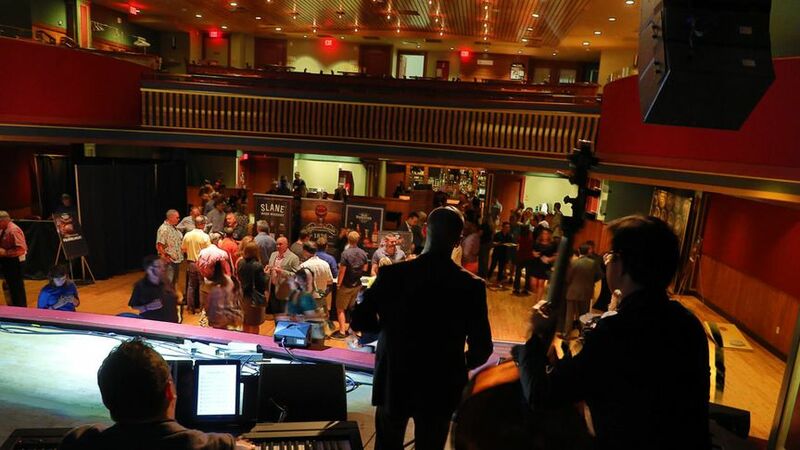 Coordinating over 100 events per year, with a process that is professional and organized - but giving each client the individual attention their special event deserves. Scott Arcangel Music offers everything from solo piano and strings, to small and large jazz groups with vocals that cover a wide variety of repertoire. 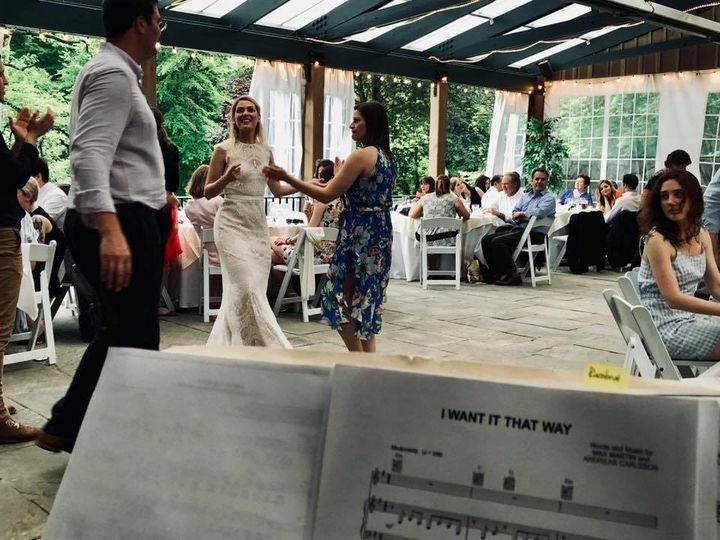 They perform the classic wedding songs, jazz standards by Frank Sinatra and Louis Armstrong, as well as pop music that ranges from Bruno Mars to Stevie Wonder. 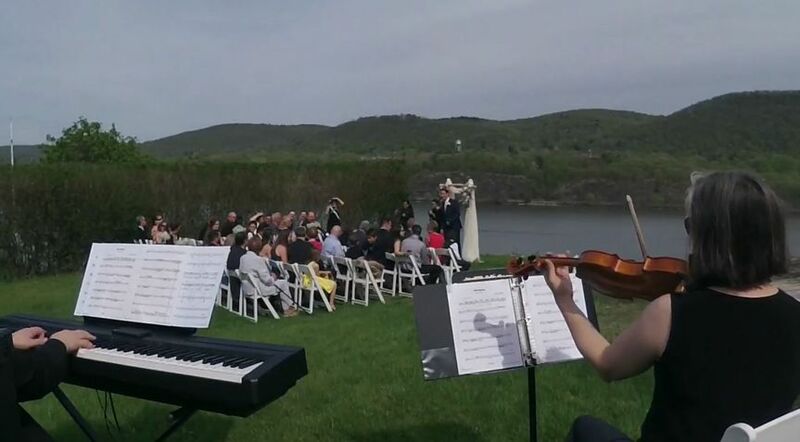 They are happy to accomodate any requests and are able to create unique arrangements for any of their ensembles, building something memorable for each and every couple. 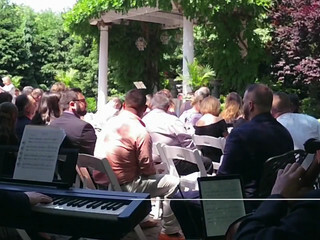 Beautiful backdrop music for our reception! Scott Arcangel's band provided the perfect backdrop to our formal sit-down wedding reception dinner. 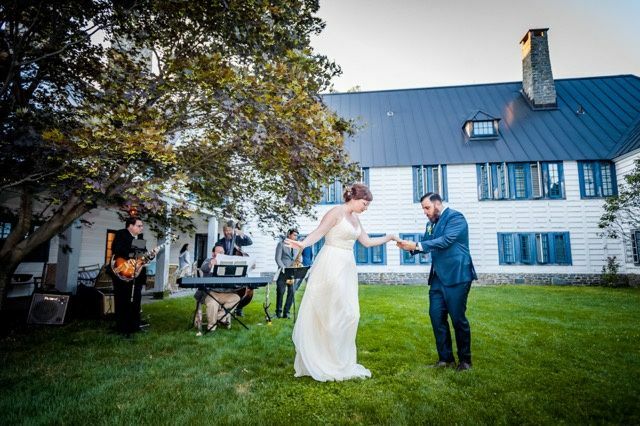 During the planning process, Scott worked directly with me to discuss the kind of music we wanted, and even offered to bring uplighting, microphones for speeches, and accomomodation for guest performances - one of which was an impromptu performance on the night. 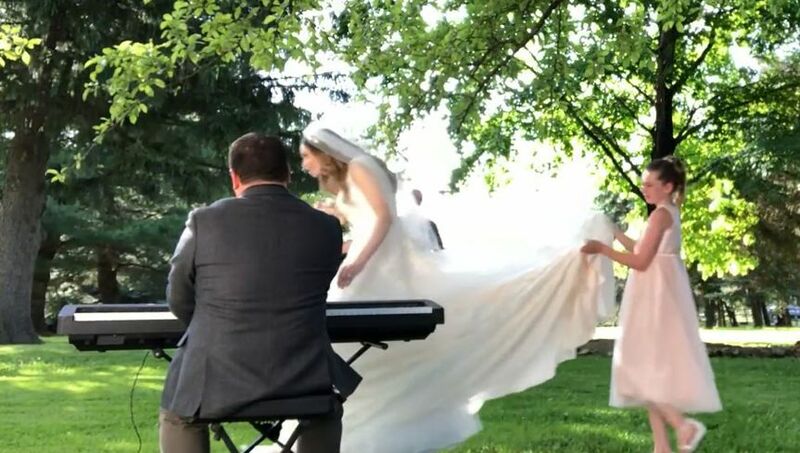 He also offered an aux cord so that guests could request and play their own music for the dancefloor, which turned out to be a big hit. 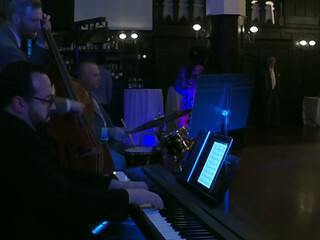 We received multiple compliments on the choice of band, and on the night of the reception many guests stopped by Scott's area to compliment the music as well. 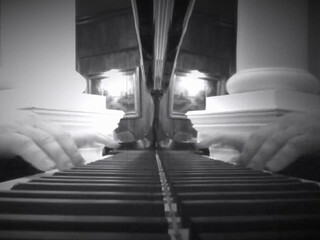 The combination of the piano, drums, and upright bass was perfect, and at a very reasonable price. 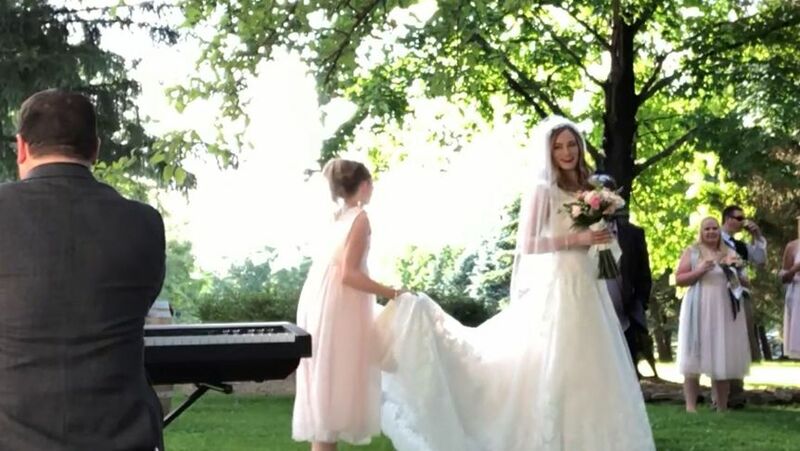 The trio even travelled across state lines to be at the wedding reception, where they arrived punctually and provided a smooth, easy listening experience that enhanced the atmosphere of the reception in a way that only a top-notch band could. 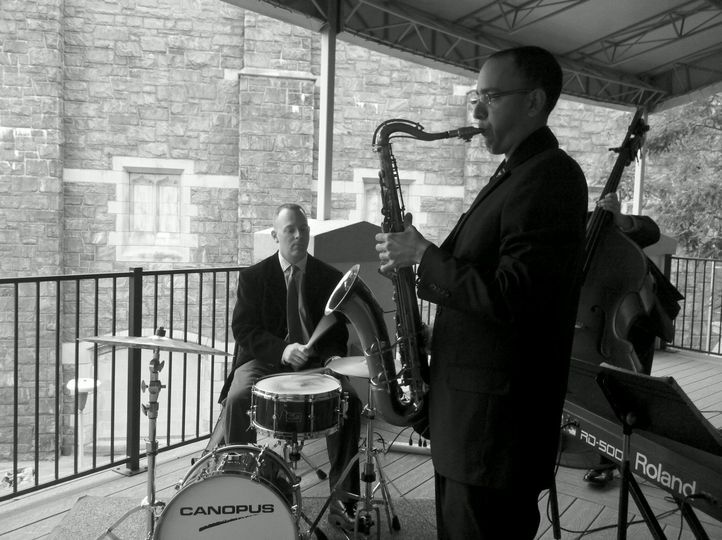 I would not hesitate to book Scott Arcangel's band, and would highly recommend them to all! Thanks so much Sneha - we had a wonderful time, and enjoyed meeting your family & friends! The lighting worked really well, and Alden Castle is a beautiful, unique venue - can't wait to see some more pictures. It was a really fun night - all the best! Scott is the man to hire for all your celebrations. He absolutely amazing. My guests loved him. On time music was exactly what I wanted. Thank you Scott see you on the next one! Thank you Lillian! Everyone had such nice comments - from your guests, to the staff. Would love to play for your family again - congratulations! My wife and I are over the moon with how great Scott and his band were for our wedding. 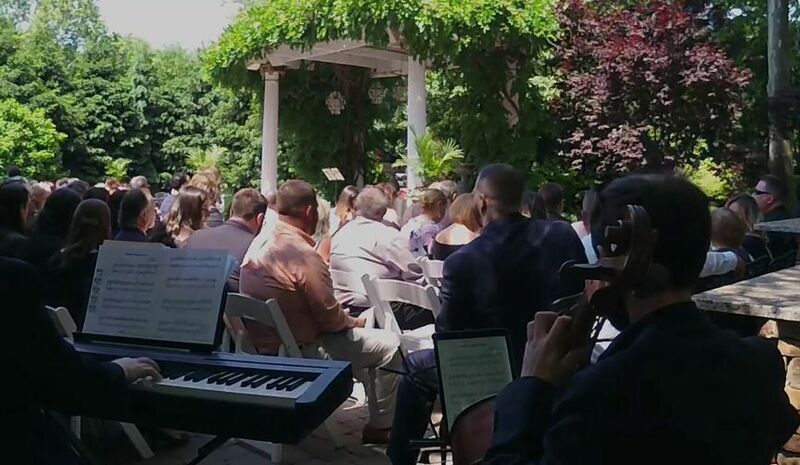 The music was phenomenal, the band looked great and the guests all had a great time. Scott is a consummate professional and he was able to jump in and help us with special songs, suggestions, advice and stepping up to be a master of ceremonies for the reception. We cannot thank him and his band enough for all of their help. They made our wedding day truly exceptional. Thanks so much David - it was really great getting to know you and Alessandra! Your guests & family were all so kind. We'd love to play for you again any time!